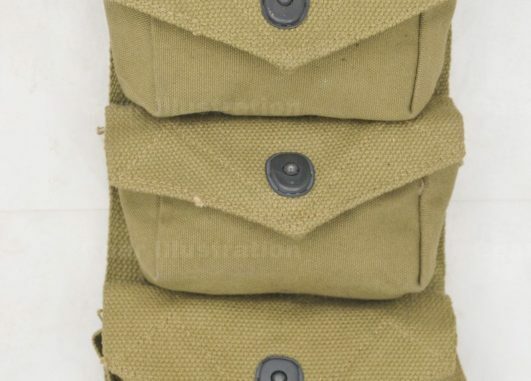 Early issued three-pocket grenade carrier, held 3 MK-2 Fragmentation Grenade (later model held 6). Most originals are dated 1944 and they saw limited use. They attach to the pistol or cartridge belt and use a leg strap to prevent them from flapping. Shown one also dated 1944, JQMD production.